Oracle OpenWorld 2015. 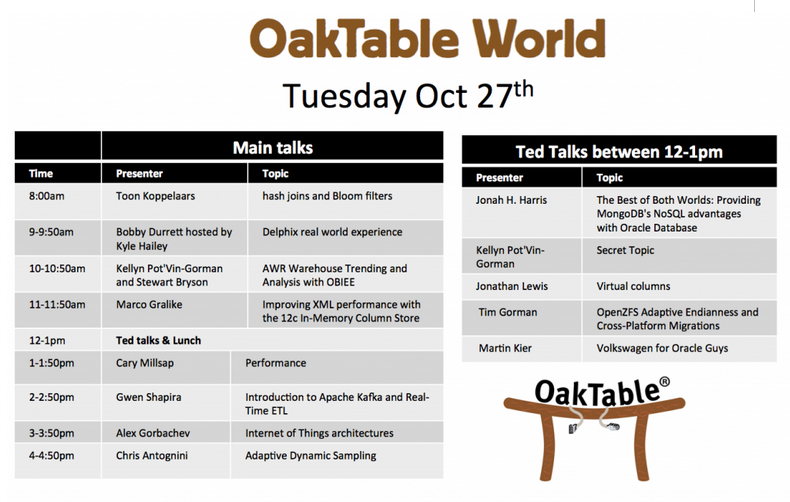 Additional Attractions to Consider: OakTable World and EMC Rocks Oracle OpenWorld. 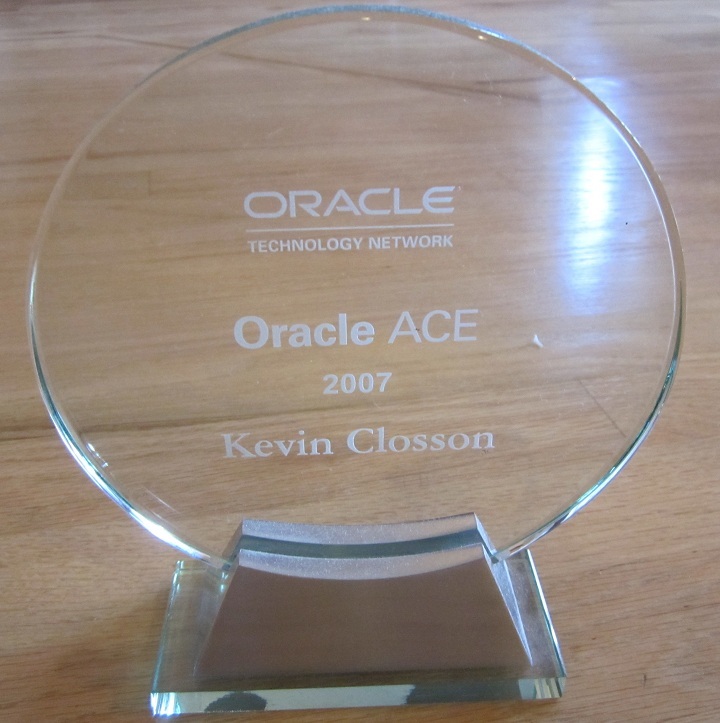 This is a quick blog entry to to share some information with readers who are attending Oracle OpenWorld 2015. EMC has a concurrent event at the Elan Event Center (directly across the street from Moscone West) during OpenWorld. This event is a great opportunity to come see the most unique and powerful solutions and products EMC has to offer to folks using Oracle Database. You can register for the event at the following link or just show up with your OpenWorld badge. 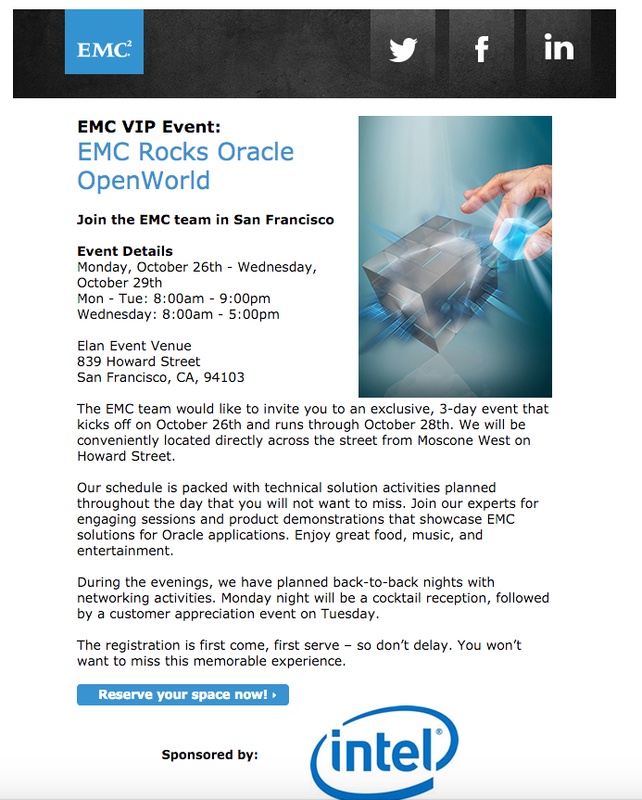 Link to register for EMC Rocks Oracle OpenWorld. Please visit the link to get more information about the event. I hope to see you there. Well, it is my blog after all! I’ll be delivering another installment of my Modern Platform Topics for Modern DBAs track. This session will show how to use SLOB to study how CPU-intensive your Oracle OLTP-related *waits* are. I’ll also be showing CPU costs associated with key DW/BI/Analytics processing “underpinnings” like scan, filtration and projection on modern 2-socket servers running Linux and Oracle Database 12c. 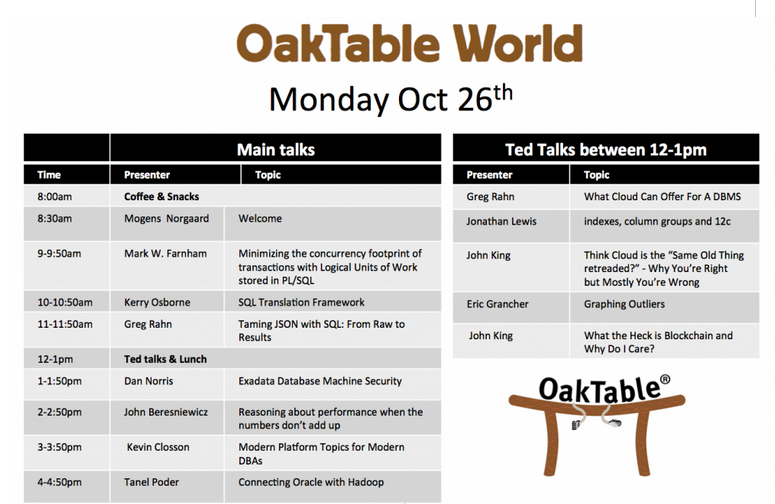 Please join us on Monday October 26 at 3PM as per the Oaktable World schedule (see below or follow the links). 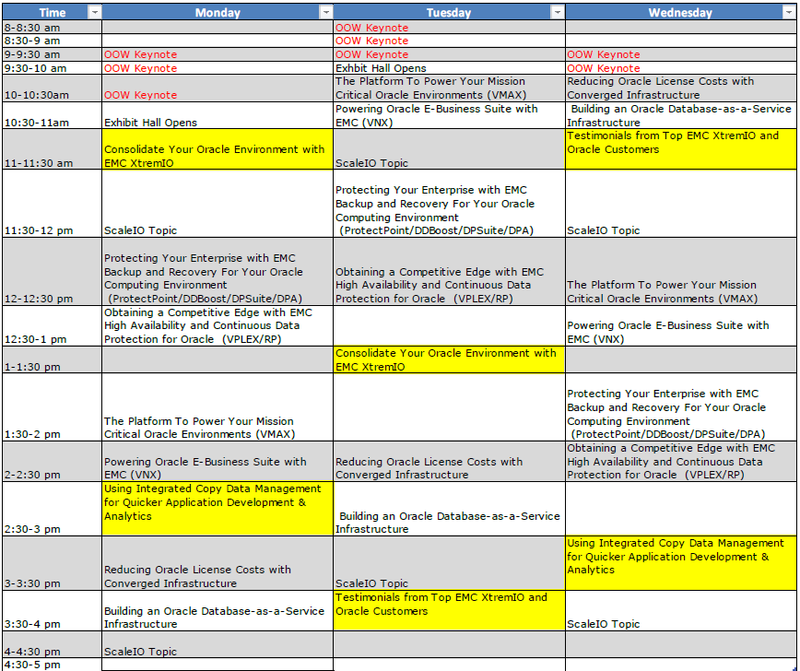 The following is the schedule for technical sessions at EMC Rocks Oracle OpenWorld. I’ve highlighted the XtremIO related sessions since that is the business unit of EMC I work in.